It’s no secret that wage inequality exists in the workforce today. 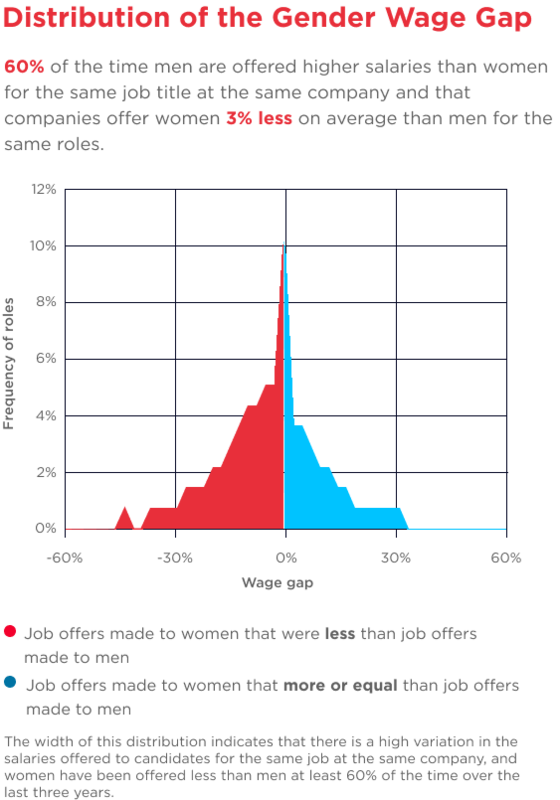 For the past four years, we’ve analyzed the data in our career marketplace to study and surface what the gender wage gap looks like for tech workers employed at some of the most innovative companies of our time. 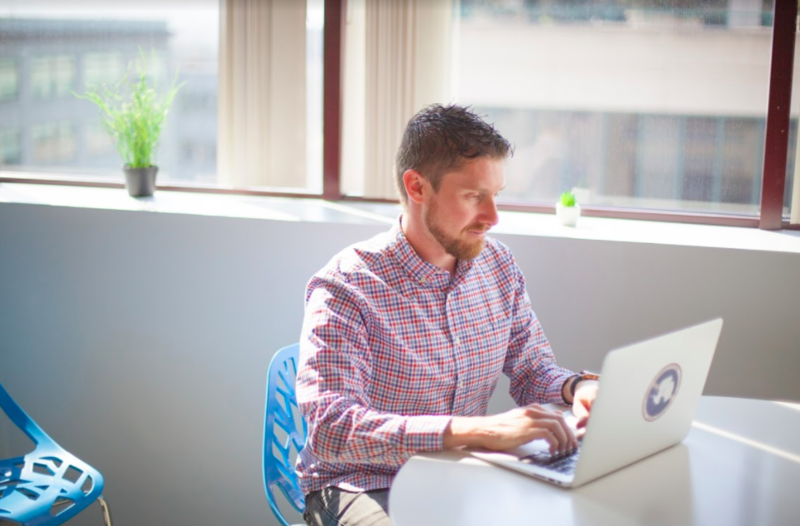 Because we have unprecedented visibility into the hiring process on our platform, we’re able to analyze the salaries candidates expect on our marketplace, the salaries companies offer, and how that changes across geographies, age groups, roles, race, and sexual orientation. 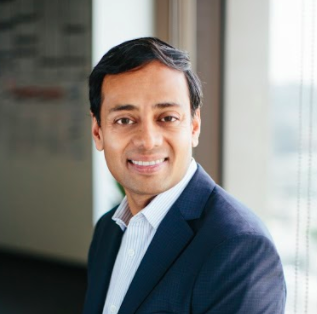 At Hired, we have a responsibility to our community, our employees, and the hiring industry at large to serve as a catalyst for a more inclusive, diverse, and equitable workforce. This includes creating transparency through data about the wage gap and encouraging conversations between employers and employees about fair pay, in hopes of one-day reaching fair pay. That’s why today, we released our fourth annual, “State of Wage Inequality in the Workplace” report—and it’s encouraging to say that for the first time in two years, we are starting to see some progress. Our 2017 and 2018 reports found that on average, women were offered 4% less than men for the same job at the same company. This year, that gap narrowed to 3%. A similar positive trend has also emerged in salary offers to men and women. Men were offered higher salaries 63% of the time for the previous two years, but that has since improved by dropping to 60%. 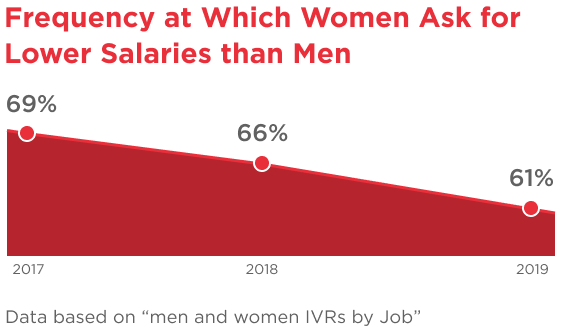 This year, we also found that women are starting to ask for salaries that are more in line with their market worth when it comes to salary expectations. In 2018, our report found that women are asking for 6% less on average, and this year that number improved to 4% less. Transparency with wage data is integral to affecting this change. In our 2018 report, we saw women asking for less than men 66% of the time, and that dropped to 61% this year. In addition to our proprietary data, we surveyed 2,600 tech workers which found that a comparable percentage of women and men are negotiating their salary offers as well — 69% of women and 71% of men. Yet 7% more men than women reported successfully negotiating higher wages. Though we’re starting to see an improvement, we’re aware that ending wage inequality doesn’t happen overnight. The wage gap still exists, as our data found that men are offered higher salaries for the same role 60% of the time. Our survey data further revealed that of the 61% of women who discovered they were being paid less than men at the same role in their company, 16% found the difference was by at least $20K. Our data also found that oftentimes women aren’t even considered for open roles in the first place. When we looked at how often male and female candidates were being asked for interviews, we discovered companies interviewed only men for an open position 41% of the time. Awareness about the wage gap is higher than ever, as our survey data revealed that 72% of male respondents (up from 53% last year) reported they believe that a gender pay gap exists, along with an overwhelming 90% (up from 74% last year) of female respondents. Additionally, when asked if they have felt discriminated against in the workplace in the last five years because of their gender, 65% of women said yes, compared to just 11% of men. Women pointed to the inability to be taken seriously by company leadership (40%) as what they felt the most discriminated against, followed closely by unfair pay (38%). When examining how race impacts salary offers and salary expectations, it’s disheartening to see that Black and Hispanic women are offered the least. Compared to white men, black women are paid $0.89 and Hispanic women are paid $0.91 for every $1.00. Tech talent acknowledges wage inequality exists based on race too, as 64% of female survey respondents believe a racial wage gap exists due to racial identity, while 54% of men believe it exists. 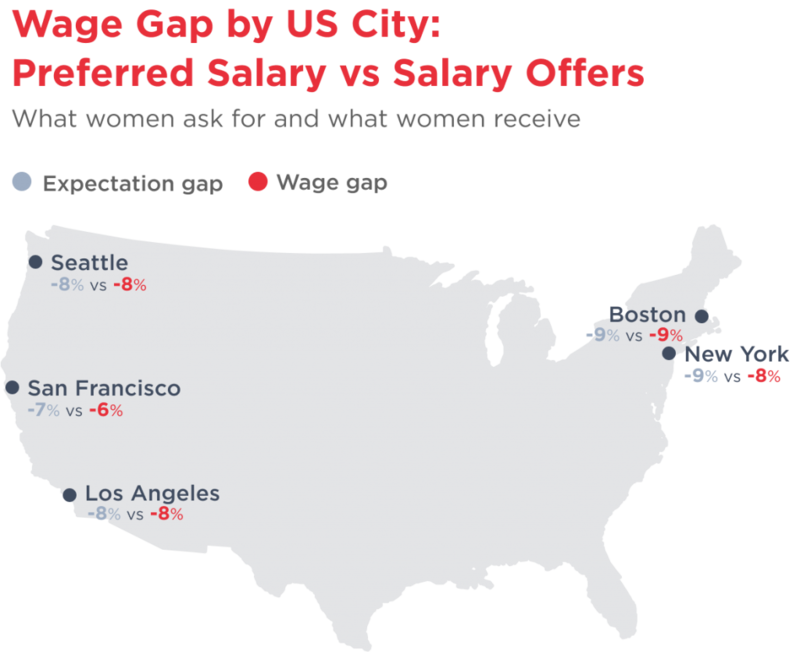 Similar to last year, San Francisco has the smallest wage gap at 6%, with Boston having the worst at 9%. For comparison, Seattle, Los Angeles, and New York improved their gaps (now at 8%). The wage gap shrinking in Silicon Valley (down 2% from last year) is likely due to more Bay Area companies highlighting their equal pay policies and California recently signing the salary privacy bill. While we’re encouraged by the tech industry’s commitment to making a change and the positive trend towards closing the gap, it doesn’t stop here. We believe that equality should be a fundamental human right. Therefore we are committed to utilizing our opportunity as a hiring marketplace between tech talent and innovative companies to raise awareness and find a lasting solution.  At Hired, we take a long-term view on this issue. While we are encouraged by the slight improvements with the overall wage gap in 2019, we remain devoted to sharing transparent salary data, shedding light on the issue at hand, and remaining dedicated to ensuring the progress that has been made doesn’t slip.